The French New Wave (La Nouvelle Vague) still remains one of the most influential and innovative movements in the history of film. 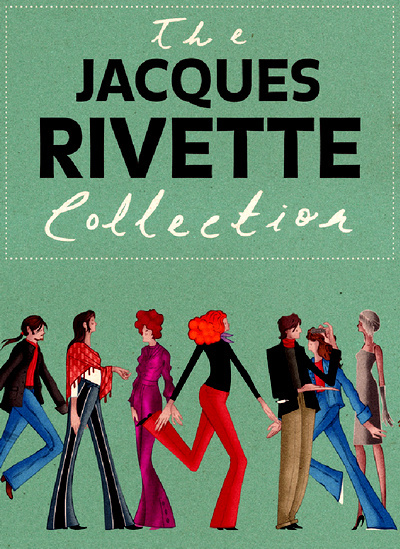 When you think of those associated with the movement, Jacques Rivette is not the first name that springs to mind. Compared with Jean-Luc Godard, Francois Truffaut, Jacques Demy, Agnes Varda, Alain Resnais, Eric Rohmer and Claude Chabrol, Rivette is a virtual unknown. However, with a catalogue of films including la belle noiseuse, l’amour fou, Celine et Julie Go Boating and va savoir he deserves to be considered up there with the best. Duelle and Noroit were originally meant to be part of four films (scenes from a parallel life) of different genres. Duelle is a film noir and Noroit is a pirate film. The other two were going to be a love story and a musical but Rivette had a nervous breakdown whilst filming the third and they never got made. Duelle is an experimental fantasy where the Queen of the Night (Juliet Berto) and the Queen of the Sun (Bulle Ogier) do battle over a magic diamond in present day Paris. This is all played out as an engaging and sometimes puzzling detective story and delves into the theme of being pawns which is picked up in the next film. Noroit is a loose re-imagining of Middleton’s Revenger’s Tragedy. On an island, Giulia (Bernadette Lafont) leads a band of pirates. Morag (Geraldine Chaplin) vows revenge for the death of her brother who was murdered by Giulia, infiltrates their castle stronghold posing as a bodyguard. With the help of Erika (Kika Markham) who’s a spy they wait for their chance. Noroit is a fantasy pirate adventure where women take the lead. It’s the best film on the set and one of Rivette’s best films. Merry-Go-Round, is a story of kidnap and betrayal. Leo (Maria Schneider) and Ben (Joe Dallesandro) are summoned to Paris by Elizabeth (Daniele Gegauff), her sister and his lover. When they arrive she is nowhere to be find, and the pair have to form an uncomfortable alliance in order to track her down. Merry-Go-Round is a mystery and borders on the surreal at times. Last, and by no means least, his magnum opus; Out 1. Conceived originally as a series of eight feature length episodes it spans a mammoth 773 minutes and is rarely shown in full. Indeed, Rivette himself edited it down to a four hour feature, Out: Spectre. It’s a serious of loosely connected stories and characters all centred on the theme of actors performing a play. It stars the likes of Jean-Pierre Leaud, Juliet Berto Michel Berto and Michele Moretti, owes a debt to Balzac and is a loose and experimental as the music which penetrates all these films. I know you would post DVDs if you could. Thank you very much. Link 11 for disc 4 of Out 1: Noli me tangere isn't working. (http://movieworld.ws/goto/aHR0cDovL3Vwc3RvcmUubmV0L3YzdVJXWksvSmFjcXVlcy5SaXZldHRlLkNvbGxlY3Rpb24uMS5PdXQuMS5ub2xpLm1lLnRhbmdlcmUuMTk3MS5CbHVSYXk0LnBhcnQxMS5yYXI=). Could you please check it? I works. Thanks a lot!